By Jim Boyce | Steve Wang at WE Brewery in Tianjin has been a strong supporter of World Baijiu Day. But will a vacation in Minsk during this year’s event stop him from participating? Nope. 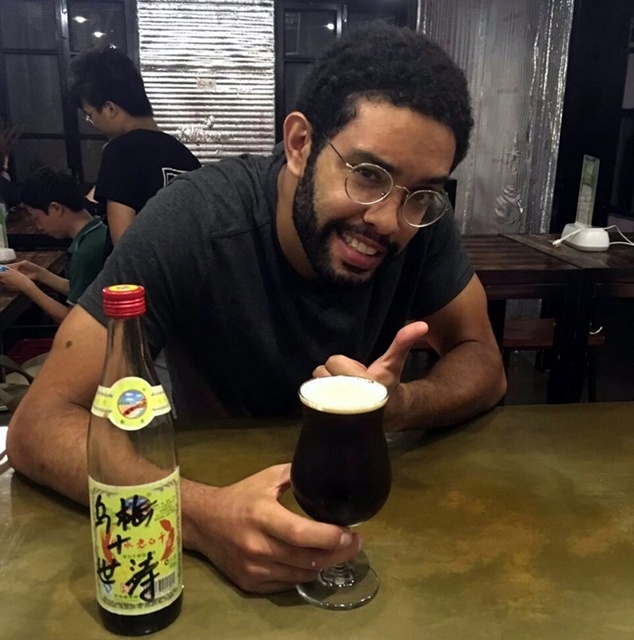 While the WE team in Tianjin has fun with baijiu, beer and juice, Steve will use some spirits he hauled to Minsk to team up with Evgeniy Kuznetsov of Make-Make Tiki King. I’ll have more on what these guys come up with but for now a Q&A with Wang. You’ve joined the past two WBDs. What did you guys do in Tianjin? We consider this event as something special for the city of Tianjin. Baijiu is our national drink and it should be appreciated and enjoyed by more people around the world. It’s not just about doing ganbeis and getting drunk while eating yang rou chuanr (lamb kebabs) or at the dinner table. We can find different ways to enjoy baijiu more. The past couple of years we have been doing baijiu beer floats. We choose one kind of beer and top it up with some infused baijiu that has matching flavors. This year we are doing something a bit different (see below). You’ve taken three bottles to Minsk with you. What’s special about them? I brought one erguotou, Yidanliang (middle), a 42 percent light aroma baiiu. One Lu Tai Chun / 芦台春 (left), a Tianjin spirit: it’s 52 percent and a strong aroma baijiu. And Heng Shui Lao Bai Gan / 衡水老白干, which is 62 percent alcohol. The reason I took three is they are all very different. The light aroma works pretty well with everything. But I want to bring some Tianjin elements and the Lu Tai Chun has more punch. And the Heng Shui Lao Bai Gan is what we’ve used the past few years for plum infusions. I found a higher degree of alcohol means we can use less liquid and get more flavor, more intensity. 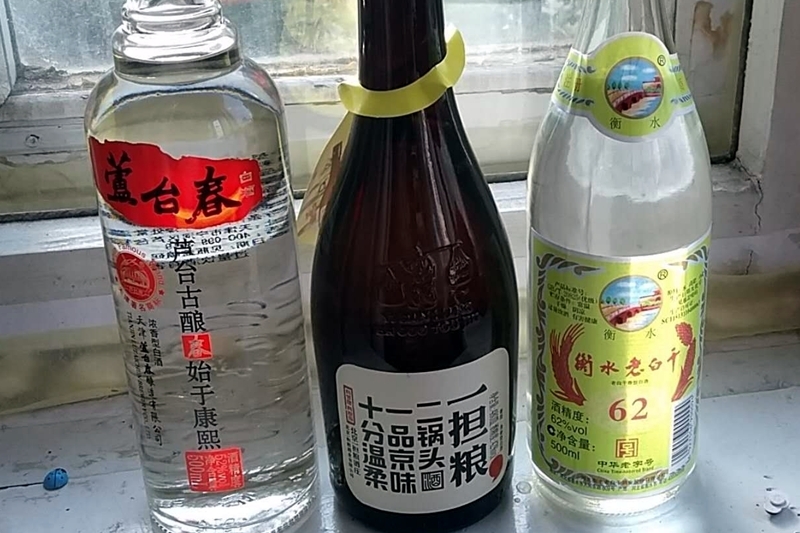 Baijiu can be tricky for making cocktails. What kind of flavors do you think work? Baijiu has this very unique flavor. I think for newcomers, it has to be introduced gradually. Maybe start with some cocktails, which we have done, using a smaller dose of baiju. Give a little introduction to the flavor and character. You can use malty ingredients, sometimes juice, sometimes other items, to play off some of the baiju character. But we don’t want it to become like vodka, a mixer; we still want the baijiu aroma and flavor to shine. You are teaming with Make-Make Tiki. What do you think will happen? It’s great that we’re visiting Minsk, my wife’s hometown, it’s a great city. Every time, I’m surprised at the new bars, at the whole environment. For our project, I’m sure the mixologists know how to do their job and I’m just happy to give my two cents about how to work with baijiu. It’s good to do some tasters so people can understand the flavor of the baijus. Then work on the cocktails with different mixes to see how baijiu is unique and versatile. 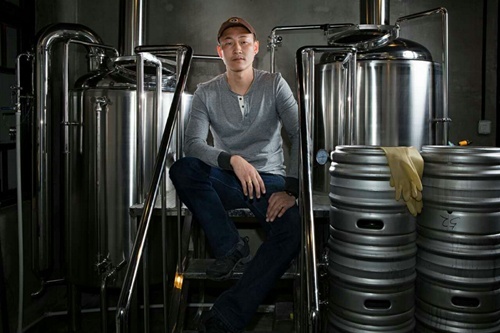 What will the team at WE Brewery in Tianjin be doing while you are partying in Minsk? We have been making these baijiu tinctures for the past two years and they have aged well. They are very strong, about a 62 percent base, and very mellow and smooth. This year, we are going to do baijiu with craft beer and juices. We will try to bring some of the sweetness and the aroma of the juice to give everything a very full flavor. I’ll update soon on Steve Wang, Evgeniy Kuznetsov and Operation GanBeilarus!